Official Memorabilia, in association with Icons UK, are proud to present the Messi, Suarez and Neymar Triple Signed Barcelona Shirt. 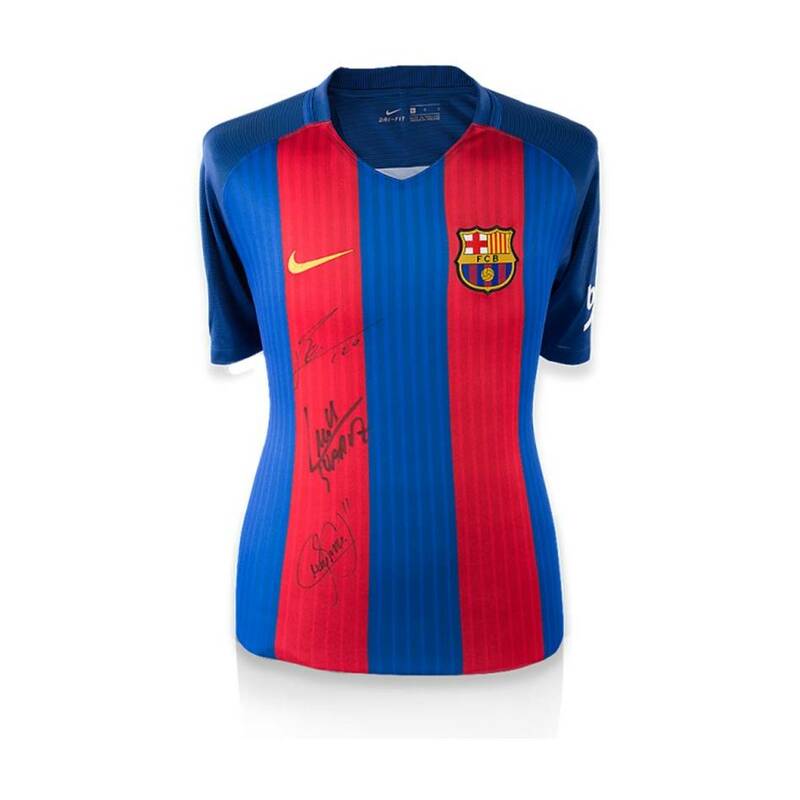 This signed shirt pays tribute to three of the best football players in the world. Accompanied by Icons’ photographic authentication, this is a must have for astute collectors and football fans.